Medium - $49.99 Only 2 left! Captain America doesn't have a whole lot to offer for super powers, at least compared to most of the other heavy hitters in Marvel. 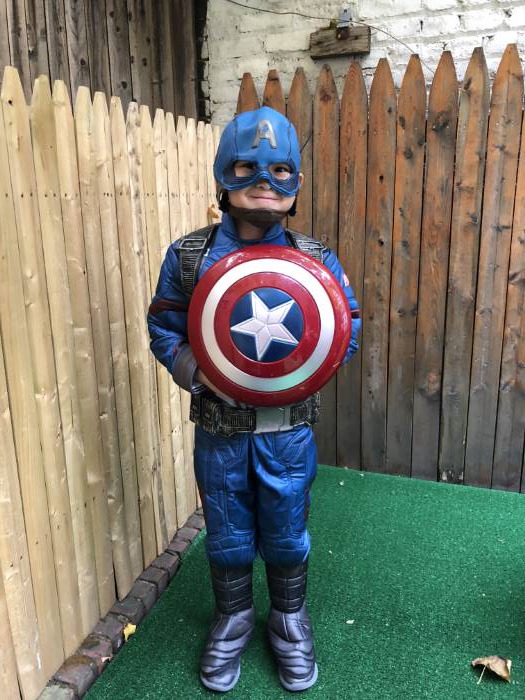 The Super-Soldier Serum basically enhanced his physical fitness to the peak of human ability. His cells heal at an incredible pace as well so he can take a punch and come right back; but there's a lot more to him than his super powers that have given him the ability to stand up to people like Iron Man and even Thor. The dude's got more heart than the rest of the Avengers combined, and his unwavering morals are stronger than Thor's hammer, Mjolnir, even if he has trouble leaving his friends because of what he believes in. When he did, though, he still always had their back. We're thinking there were at least a dozen times during that fight between him and Iron Man where ol' Cap could have ended his friend for good, but he knew Tony was just doing what he believed was right, because he was angry. After all, besides his heart being his strongest muscle and his loyalty to what he believes in, he's also an amazing tactician. He has had almost a hundred years to perfect it (most of it dreaming since he was frozen in a big block of ice). Do you think your child has what it takes to become the next symbol of everything great in America? Like we said before, the original had a lot of time to figure all this out, so you should probably start them pretty young. 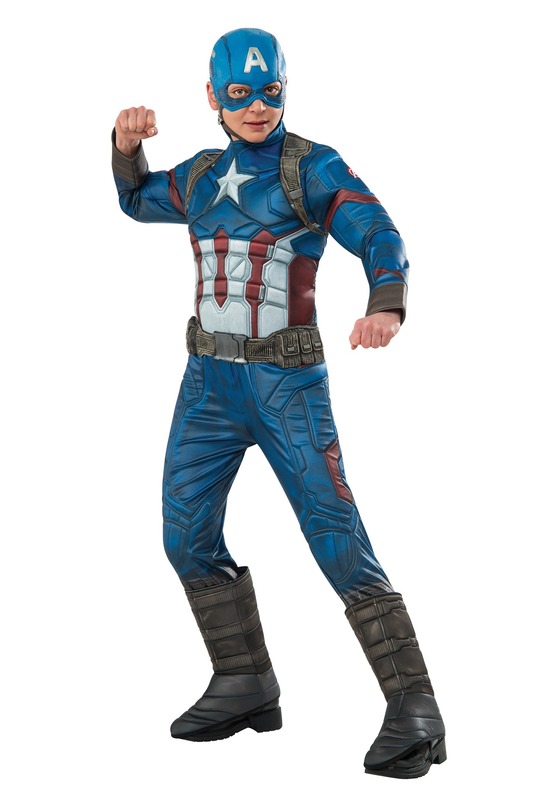 This Elite Captain America Costume is a sweet replica of the one from the movies, and is sure to get your little justice fighter off on the right foot. Just be sure to teach him to stay as far away from H.Y.D.R.A. as possible! This is great quality. Thick! Headpiece is strong, sizes are very close to instructions. Very happy with purchase.